Urbanisation El Rosario, Marbella, Costa del Sol. 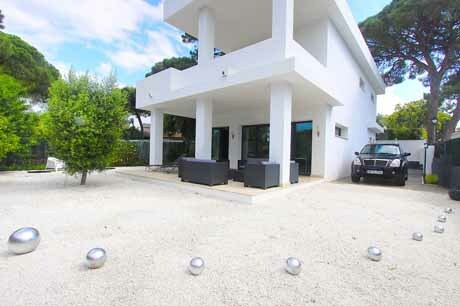 Dedicated to villas in Marbella's Urbanization El Rosario for sale this page you can read some basic information about El Rosario Marbella and you can view a small sample selection of the villas Innovative property have for sale in El Rosario Marbella. 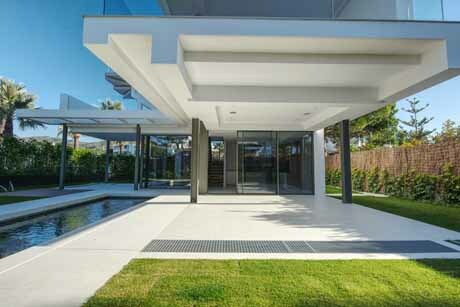 Located in a prestigious zone of eastern Marbella between the well known luxury areas of Los Monteros de Marbella and Elviria, the El Rosario area can be devided into two distinct zones. Firstly Urbanisation El Rosario begins just north of the costal road which leads to Marbella town and Puerto Banus to the west and Elviria, Cabopino and eventually Malaga to the east. 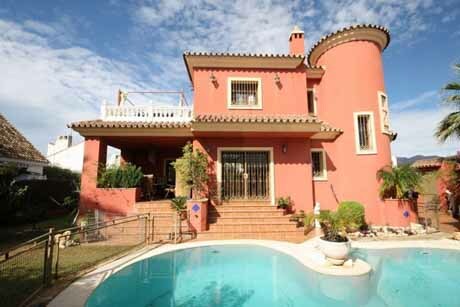 The Villas for sale in the El Rosario urbanizacion are dotted around the green hillsides rising to some elevated areas with fantastic views of the sea, golf courses, coastline and Mountains all set in well established streets with mature trees give Urbanisation El Rosario a relaxing tranquil atmosphere. South of the coast road is the beachside area of El Rosario called Las Chapas. Las Chapas just like Urbanisation El Rosario is a well established community of east Marbella and the streets are home to many fantastic luxury homes all just a short walk to the fantastic 'Playa Hermosa' which translates simply to 'Beautiful Beach' it really does live upto its name and is just one of the great beaches this part of Marbella is so famous for. The beaches in the El Rosario area of Marbella are adorned with a great selection of Chirringuito beach restaurants and bars and it is possible to stroll along the clean sands and visit some of Marbella's best know beach clubs or just relax and enjoy the sun, sea and sand. In short the El Rosario area has some of the best beaches Marbella has to offer has many facilities including Tennis clubs, numerous golf clubs, Interntional schools along with many other amenities such as bars, restuarants, supermarkets etc located around the coast road between the Las Chapas and El Rosario and the center of Marbella town also near by. 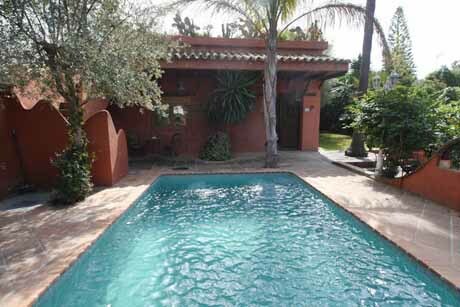 Information about El Rosario, Marbella. 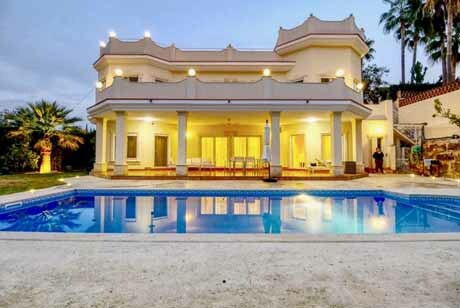 Dedicated to villas in El Rosario for sale this page you can read some basic information about El Rosario Marbella and you can view a small sample selection of the villas Innovative property have for sale in El Rosario Marbella. 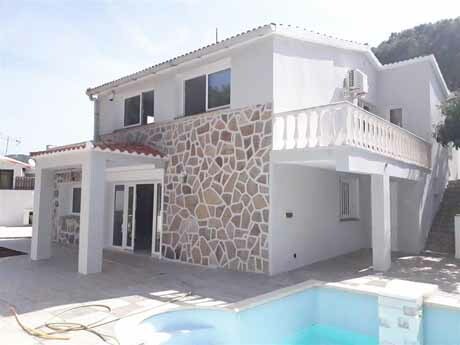 The Villas for sale in El Rosario are dotted around the green hillsides rising to some elevated areas with fantastic views of the sea, golf courses, coastline and Mountains all set in well established streets with mature trees give Urbanisation El Rosario a relaxing tranquil atmosphere. 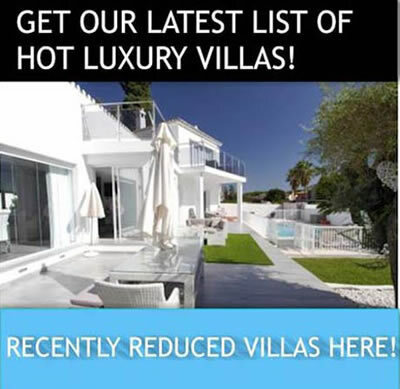 PLEASE REMEMBER THIS IS ONLY A SELECTION OF THE VILLAS WE HAVE FOR SALE IN EL ROSARIO.